Host one of the Community Events below and receive a pizza party once your event is completed as a thank you from Bending Bayous! Hosting a Community event is a great way to provide your troop with leadership experience, plus the girls in the Community LOVE these activities. Here are just a few ideas. E-mail bendingbayous@gmail.com by the end of November if your troop is interested in hosting an event. Community Girl or My Guy & Me Event – see below for ideas from our Girl Panel and survey results. 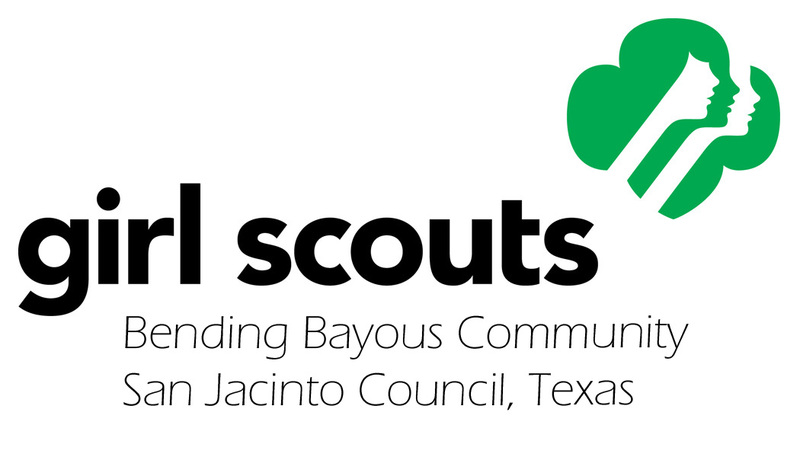 Community Bridging Ceremony – A wonderful, girl-led, multi-troop / multi-level event where girls bridge to their next level of Girl Scouting and are honored for their achievements. Read our e-mail from last year’s host request to find out what’s involved. Recommended troop host level of Junior or above. The following ideas came directly from the girls at the Girl Panel during the Sweet Thanks Social. The votes came from the survey results. Additional Suggestions: Our troop participated in these sleep overs: Wild Winks, Zoo; Elissa; STEM/HMNS. Also, we have had a field trip to NASA. My scout really likes the NASA idea. Our troop of Senior level girls hosted the bridging ceremony this past year. The girls enjoyed selecting the theme and planning the decorations and menu. In doing so, they practiced working within a budget and pricing various options. The girls also had the valuable opportunity to hone their public speaking skills as they handled the entire mistress of ceremonies responsibilities. Even at this level, the leaders were heavily involved but our troop enjoyed hosting and learned/practiced some great skills in the process. Our 3rd grade Brownie troop loved hosting the Bending Bayous skating party! The girls were thrilled to be assigned to different committees and felt very grown up carrying out their duties before and during the party. The girls also loved having the chance to mingle with other girls from the community. E-mail bendingbayous@gmail.com by the end of November if your troop is interested in hosting an event.